Talk about confidence in your own product. 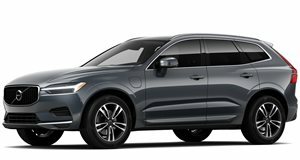 Volvo is so confident of its older cars general reliability and quality that it has just announced an unlimited-mileage warranty program, though it’s for certified pre-owned vehicles only. Called , the program can also be customized to the customer’s needs. The Swedish luxury brand further said coverage can be extended by up to eight years from a car’s original in-service date. 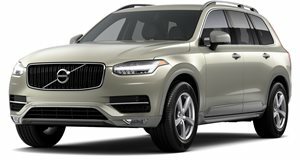 So, how does a used Volvo become certified in order to qualify? Each potential Volvo must be inspected to very high standards by a factory trained technician and pass a 170+ inspection process. The Volvos in question will also be screened to make sure their titles and vehicle history meet company standards. This will be done, in part, with a Carfax vehicle history report. But here’s the main thing any Volvo owner needs to know in order to even think about qualifying for the program: the vehicles must be five years or newer with less than 80,000 miles. Sounds reasonable enough, but Volvos are widely known for being able to last on the road for years, such as the . The new Certified by Volvo program joins the . This car-sharing service, which costs $600 per month, is mainly geared towards a younger crowd. For now, the only vehicle offered is the XC40 small crossover. Volvo understands it’s still essential to properly take care of its existing and older customers, as well as their cars. The 3 million-mile P1800, however, does not qualify.